TOKYO: Radiation levels inside a stricken reactor at Japan’s Fukushima nuclear plant have hit a record high capable of shutting down robots, in the latest challenge to efforts aimed at dismantling the disaster-hit facility. Radiation levels inside the plant’s No. 2 reactor were estimated at 530 sieverts per hour at one spot, Tokyo Electric Power Co (TEPCO) said on Thursday after analysing images taken by a manually operated camera that probed the deepest point yet within the reactor. Even after taking a 30-percent margin of error into account, the radiation level was still far higher than the previous record of 73 sieverts per hour detected by sensors in 2012 though at a point not as deep, TEPCO said. Radiation exposure at 530 sieverts per hour would effectively shut down TEPCO’s planned robot camera probe in under two hours. But TEPCO said the high reading focused on a single point, with levels estimated to be much lower at other spots filmed by the camera. It added that the planned robot probe would not sustain severe damage because it was unlikely to linger for too long at a single point. The three cameras mounted on a caterpillar-type robot are designed to withstand up to 1,000 sieverts in total. TEPCO said the radiation is not leaking outside the reactor. 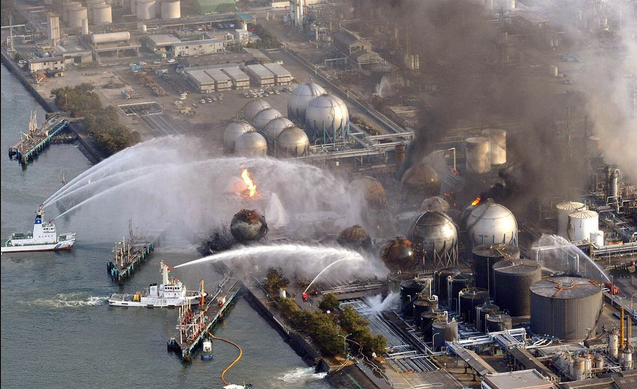 A massive undersea earthquake on March 11, 2011 sent a huge tsunami barrelling into Japan’s northeast coast, leaving more than 18,000 people dead or missing, and sending three reactors into meltdown at the Fukushima plant in the worst such accident since Chernobyl in 1986.